Hi everyone! Today I'm looking at being Inside My Writing World. Any other writers out there think they have a nice, completed manuscript? One you've edited over and over and think is ready to send out? Only to find, nope, not the case. That has been my situation these last two months. I really thought I was ready. My last step is to always get some critiques, and since I've joined a new online critique group, I was really looking forward to some good info. The group meets only once a month, so I wait many weeks to see what people will think. Last month, the critiques that came back had me re working my first chapter. Some great comments had come my way about my character's goals and about bringing the fantasy aspect into the story within the first two pages, instead of on page four. I was reading the comments and thinking, how did I miss that? I reworked the beginning of the book and thought, yep, now I'm ready. Ready to query, nope, ready to send to a beta reader for more critique. I sent out the beginning of the book to a trusted writing professional. During the time she was looking at my work, I ran across two agents that were suddenly open to submissions, but only for a brief time. One was a three day contest to submit a query and sample and the other was an agent who suddenly posted on twitter that she would be closed to submissions at midnight THAT night. Yikes! I wanted to wait to hear back from my writer friend, but I didn't want to miss these opportunities. So, I did it. I sent in both queries. I'd had the critiques from my writing group and thought that even if not perfect, the manuscript was in a condition to garner interest from an agent. When will I learn? Just a few days after submitting, I heard back from my friend. Her comments blew up my book and had me rethinking everything. I read through her comments and realized she had looked at things from a more editorial perspective, and wanted me to rewrite several chapters and change some POV's. My book has alternating points of views from the two main characters. Her notes set my brain on fire, and last night I spent hours remolding my work. I needed shorter chapters and some more details to further explain elements in the story. Things that I had thought obvious were not. I have many more changes to make. The whole time I was rewriting I couldn't help kicking myself for sending those two queries. The book was so much better now and though the version the two agents have shows great potential, they are not what the opening chapters look like now. All is not lost, this is only the beginning and I'm hoping those two agents will like the hook of the story and suggest a rewrite. 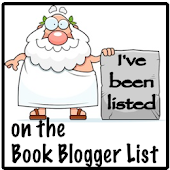 Plus, I have several book conferences coming up, and by then I will have things worked out and ready. Well, ready as can be. There is always tweaking and if you wait till it's absolutely perfect in your own eyes, you'll never send it out. So, those were my writing experiences these last couple months. I hope by sharing them it will help other writers out there in the trenches. 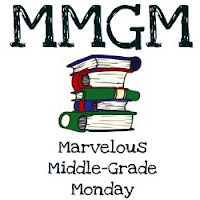 Welcome to Middle Grade Monday! 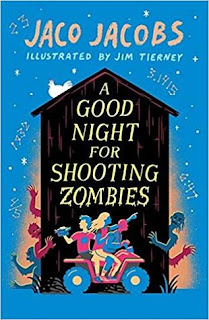 Today I am reviewing a new release, A Good Night for Shooting Zombies by Jaco Jacobs. Don't forget to head over to MMGM central when you're finished for more great reviews and activities https://gpattridge.com/. Martin lives life on a plot of land with his mom, Uncle Hendrik and sister Cindy. Martin is a numbers guy, and finds joy by working out number problems in his head. He spends the rest of his time raising the chickens his father left behind when he died in a car accident. When his neighbor's dog eats one of his prize chickens, Martin heads over to confront them with video proof. He meets Vusi, a boy his own age, whom he punches in the nose when Vusi makes a comment about his mother. Unknown to Martin, Vusi is actually a cancer patient. The punch causes an uproar, and soon Martin is back to apologize. This time, he and Vusi become friends and Martin discovers that Vusi has a secret dream to make a movie about zombies. Together the boys concoct plans to film the movie whenever Vusi is feeling well. Soon they add another actor, Chris, a young girl who lives a few plots away and who's brother owns an old shed perfect for the movie. However, unknown to them, the shed is filled with stolen goods, and soon the bad guys show up to retrieve them. Suddenly, life turns deadly and their dreams of making a movie are brought to an abrupt halt. Okay, first thoughts from the title was that this was going to be a book about zombies, but then I started reading it and realized it is only the type of movie Vusi wants to film. The fun thing is watching the two boys try to make a film with zombie masks, fake blood and no script. Life moves on around them as their movie progresses. Martin and Chris go to school while Vusi lives at home taking his cancer treatments. The way the author writes allows the reader to get a good feel of what their lives are like and the way they live in semi-poverty. The one thing that makes Martin unique, his math skills, is also kind of annoying. I didn't mind that he liked numbers, but many times in the book he goes into these mathematical funks to find out if a number is a happy number. It was a bit over the top for me. The ending of this story is so good. There is a logical conclusion that involves everyone in the story and brings things full circle. 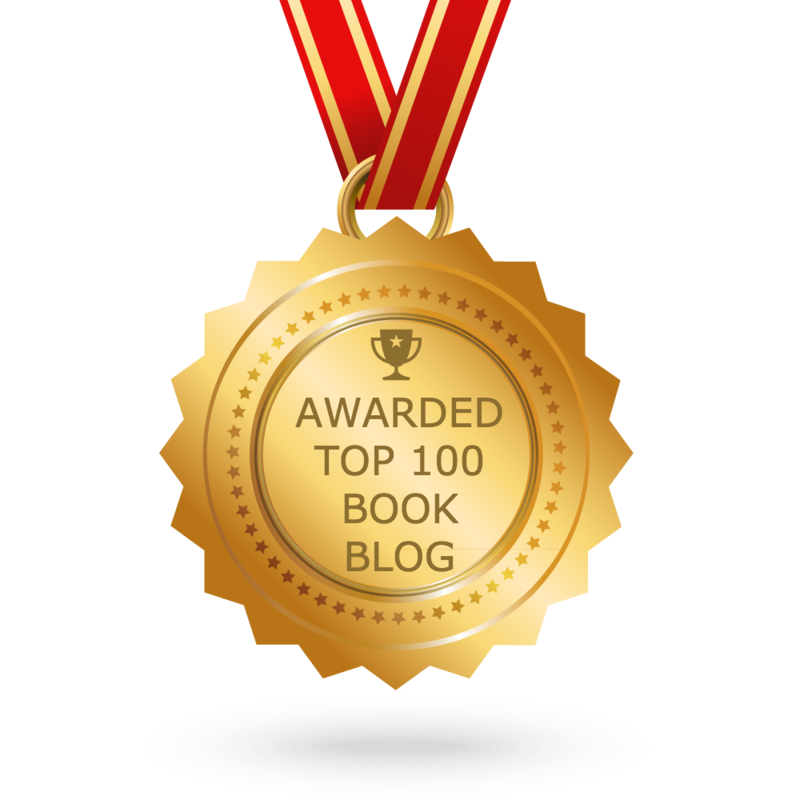 It was heartwarming and leaves a happy feeling with the reader. I think this book is worth the read and I'm giving it 4 stars! Welcome to YA Friday! Today I'm reviewing a YA fantasy that I picked up as a daily deal. I love when books are free. 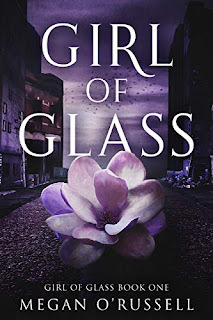 Let's check out Girl of Glass by Megan O'Russell. Nola lives behind a glass dome, one of several across the country. The domes protect the people from the toxic air of the land beyond. Too bad the plan never meant building domes for everyone. The people that have been left to live outside the dome live with acid rain, poisoned air and contaminated soil. 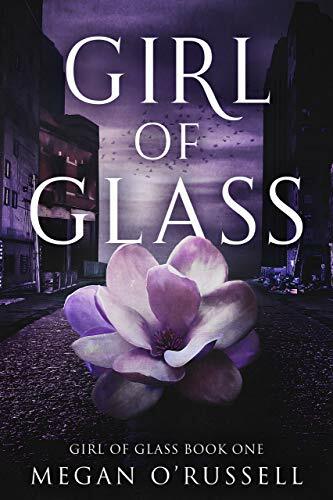 Nola grew up with a close group of friends, one that was broken up when her best friend and potential boyfriend, Keiran, was exiled with his father from the dome. She hasn't seen him in two years. During a charity trip to "help" people outside the dome, Nola runs into Keiran, who begs her for medicine to save a young child. Now that Nola knows Keiran is alive, she risks her life to sneak out of the dome and find him. What she discovers is an underground world run by Vampers. People who have taken the Vamp virus to help their bodies survive in a toxic world. On the streets above, along with dying humans, are Lupers, people who have taken a distorted type of the virus that makes them more werewolf than human, and then of course, there are the zombies, people the virus completely messed up. Nola gets to know the Vampers, understanding why they have chosen to risk taking a virus in order to stay alive. Keiran's father is a doctor, and he is re-engineering the Vamp virus so that it doesn't have so many side effects. Keiran was the first person he had to save, and now he is a blood drinker too, but one that kept his humanity. A battle between the outsiders and the Domers is building, and Nola is stuck in the middle. Will Nola choose her old boyfriend Keiran or the Dome? Great book that introduces a new way to look at vampires, werewolves and zombies. The dome concept is not new, but what the people have done to survive in the outside world is. The virus that was created changed humankind genetically, actually making blood drinking vampires and pack hunting wolves. This is a great twist on an old tale. Keiran's dad is now changing the original virus so that it can save people, but leave them their humanity, their old selves. This is how Nola and Kerian now have a new chance. And, SPOILER, while Nola is with the Vampers she gets injured, and the doctor is forced to give her his new Vamp virus to save her. He doesn't turn her, but she heals super fast. I really hope this leads to her being somehow super human in the second book. There is also a great love triangle that keeps things interesting. Back in the dome, one of the boys Nola has grown up with, Jeremy, is in love with her. While Keiran was thought lost, she has let a bit of relationship bud between herself and Jeremy. He is a great young man who is clearly devoted to Nola. So, when Nola gets together with Keiran again, she is pulled in two different ways, and there is no easy way to choose. Both guys are good guys. And that's what I love about it. I hate when authors make one love interest have so many flaws that it is obvious who the main character needs to be with. 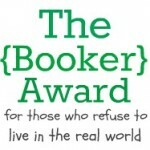 Here, the reader is going to go on an adventure as Nola picks. I enjoyed the ride and loved the new Vampire history. I'm giving this one 4 stars! 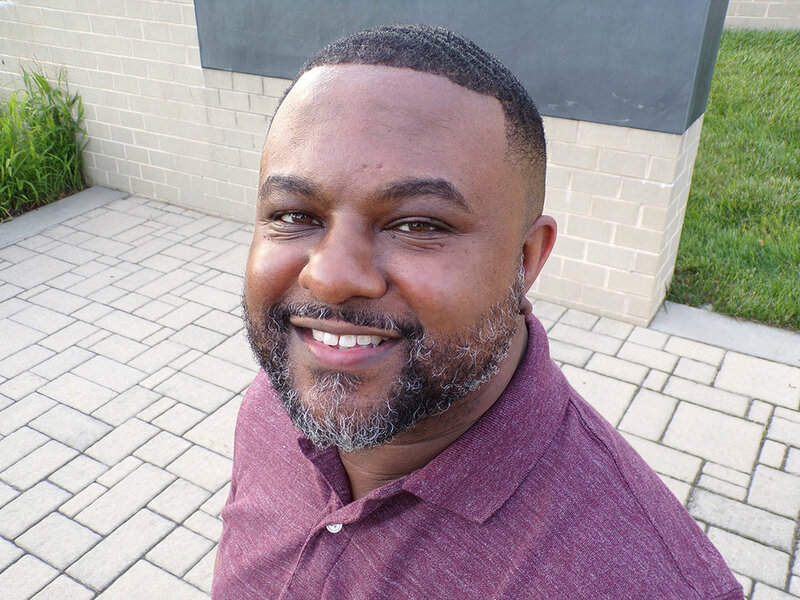 Lamar Giles is a two-time Edgar Award finalist in the YA category, for his debut YA thriller FAKE ID (HarperCollins, 2014), and his second YA thriller, ENDANGERED (HarperCollins, 2015). His third YA thriller was OVERTURNED (Scholastic, 2017). 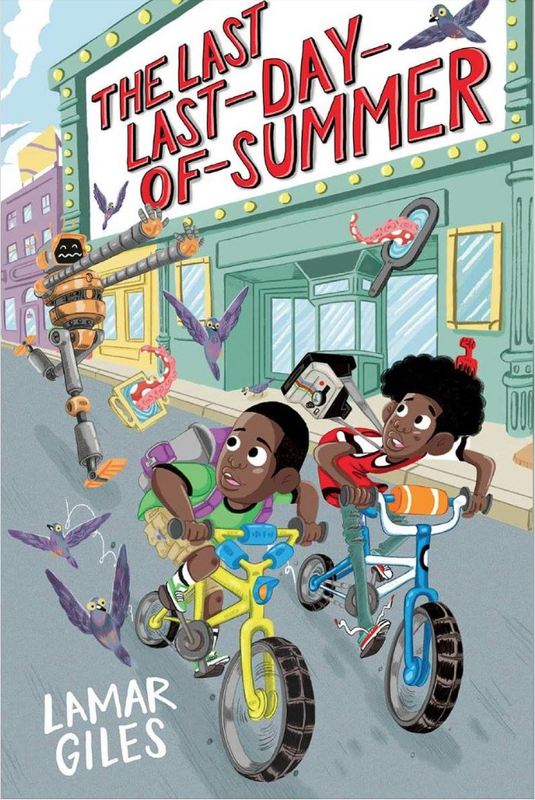 LG: THE LAST LAST-DAY-OF-SUMMER stars The Legendary Alston Boys of the supernaturally weird Logan County, Virginia. There’s Otto, a loving know-it-all, and Sheed, who’s sometimes cranky, but always cool. When they’re tricked into freezing time on the last day of summer by the mysterious Mr. Flux, they unleash a bunch of weird creatures they either have to align with, or battle, to save the day. It’s like the Hardy Boys crashed into THE PHANTOM TOLLBOOTH. 2. 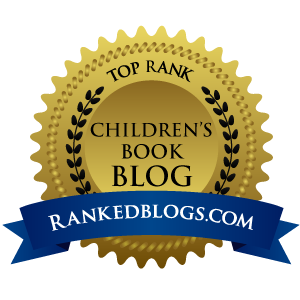 How do you think your book will relate to kids in today’s world? LG: The novel is about the universal desire to make fun times last, and how that’s something that can never really happen. 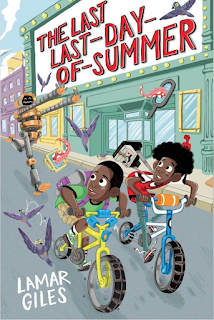 Every child who has felt that first day of school rushing toward them as summer ends will understand Otto’s desire, but they will also see that ‘making summer last’ is really a ‘be careful what you wish for’ scenario. 3. Is there a message you wish to convey with this book? LG: Enjoy the time you have, because none of us get more of it. 4. Tell me about your writing process. LG: Overall, I tend to imagine a general concept (“what if a pair of boys somehow froze time?”), then figure a loose conclusion that would wrap that scenario up. Once I have those two things—the beginning and end—I tend to fill in the middle on the fly. Then, the way that looks on a daily basis is I’m up by 6 AM every morning when I try to write anywhere from 4 to 6 pages daily until I have a full, rough draft. 5. What were your favorite books to read as a child or teen? LG: Horton Hears a Who! 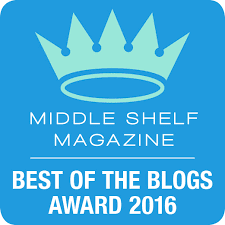 by Dr. Seuss, The Phantom Tollbooth by Norton Juster, The Celery Stalks at Midnight by James Howe, any of the Choose Your Own Adventure books. In my teens there was Fear Nothing by Dean Koontz, The Tomb by F. Paul Wilson, My Soul to Keep by Tananarive Due, and IT by Stephen King. 6. What advice would you give to up and coming authors? LG: Practice finishing. This doesn’t mean that you won’t ever abandon a project, but dumping an idea should be the exception, not the rule. Practicing writing and completing projects when they start to drag will be one of your most useful skills when you’re on deadline for your publisher one day. 7. What was your path to publication like? LG: I’d been writing since I was a kid, but got serious during my last year of college. It was easy reasoning for me—a day job sounded hard, and publishing sounded hard. I HAD to get a day job, but I should at least put some energy into the hard thing I actually WANTED to do. So I spent the years between age 22 to age 30 writing, submitting, getting mostly rejected, but improving the whole time. At 30 I’d completed a draft of a novel called WHISPERTOWN that got me an agent, and that book later sold to Harper Collins and was published as FAKE ID in 2014. I’ve been lucky enough to have published four novels and an anthology I edited since then, with a lot of upcoming work on the horizon that I’m extremely grateful for. Hello There Trilogy by Laurie B Arnold- Book Spotlight and Giveaway! When Madison McGee is orphaned and forced to live with her wacky grandmother in boring old Truth or Consequences, New Mexico, she’s pretty sure nothing will ever be right again. Her grandmother is addicted to TV shopping shows. Her only neighbors are a crazy lady and a vicious junkyard mutt. And she misses her old life something fierce. Could it get any worse? A jeans and T-shirt kind of girl, Madison refuses to be seen in the “cupcake dresses” her grandmother tries to get her to wear. Everything changes when a MegaPix 6000 TV mysteriously shows up on her doorstep. With the accidental push of a button on the remote control, Madison teleports into a dizzying world of lights, cameras, action, and peril. But with the help of a little magic, she discovers that things aren’t always what they appear to be, and that life can actually get better in a brand new way. she’s staying with Rosalie Claire. Their dreams of lazy sunny beach days come to a screeching halt when Madison’s grandmother, Florida Brown, unexpectedly shows up on their doorstep. Dangerously ill with a mysterious ailment, Florida needs help. But the magic in Rosalie Claire’s fanny pack has stopped working. Only one person knows how to revive it - Grandma Daisy. The only problem? She’s been dead for five years. 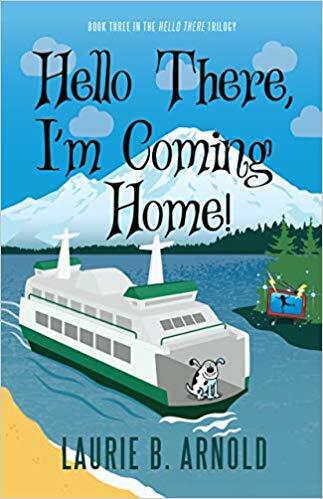 Madison is on a fateful trip back to Bainbridge Island, where she grew up, to spend the summer with her best friends, Noah and Violet. Laurie B. Arnold fell in love with middle grade fiction because she’s a sucker for a happy ending. Hello There, We’ve Been Waiting for You! 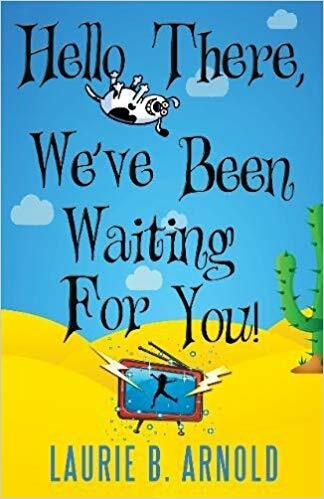 – Book 1 in the Hello There middle grade trilogy – was a finalist in the Foreword Indies Book of the Year Awards for Juvenile Fiction and both that book and the sequel, Hello There, Do You Still Know Me?, were featured novels in New Mexico Battle of the Books. Laurie has two grown sons, and lives in Bainbridge Island, Washington, with her amazing husband and perfect fuzzy dog, but also spends time in Santa Fe, New Mexico. 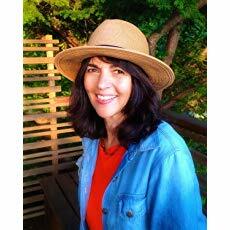 In addition to novels, she’s written countless interactive computer games for kids featuring beloved characters such as Putt-Putt, Madeline, and Harry Potter; a trio of picture books; and scripts for animated kids’ TV shows, including Dragon Tales. Congrats to Christa Bengtsson! 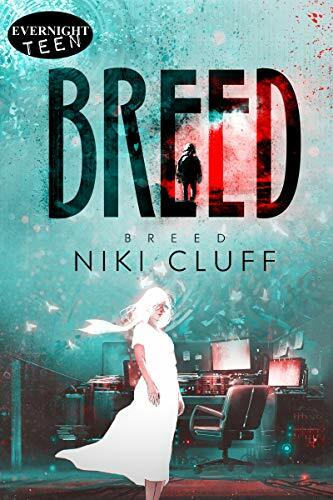 you won the ebook Breed by Niki Cluff. Welcome to YA Friday! 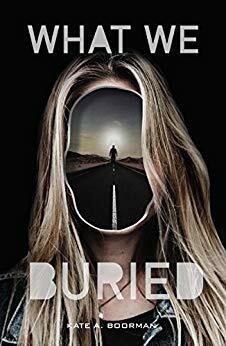 To I am reviewing a new YA thriller, What We Buried by Kate A. Boorman. Liv wants to gain emancipation from her parents. She blames them for years of psychological abuse for making her do beauty pageants as a child. Jory, her brother, just wants Liv to finally realize that the world does not revolve around her. At the courthouse, Jory is shocked when his parents vanish. Liv thinks it is a stunt, but Jory swears they were there. Liv thinks their parents are hiding out at an old house by a lake, and she convinces Jory to come with her to look. As they drive strange things begin to happen. They end up on an endless loop of road, their cell phones stop working or they find weird messages left, and then their car gets stolen, only to return a few hours later. When they finally make it to the lake house, neither Liv nor Jory know what they'll find, but it isn't what either of them expected. Holy Twilight Zone, Batman! This book really takes the reader for a ride. Told from both Liv and Jory's points of view, the story grows weirder and weirder. I couldn't figure out what was happening, but the idea of finding out dragged me along. So many strange incidents occur, and you figure out there's an issue with time and reality, but how and why is it happening? The courthouse scene at the beginning of the book makes no sense if the end reality is true. Plus, despite all the abuse, we are supposed to belief that Liv and Jory burned their parents alive? That the shock of doing it caused them to live in some type of singularity until they were able to come to terms with their actions? And then we're supposed to be happy they get off scott free and disappear to wherever? The story left me with an uncomfortable feeling of yuck. I enjoyed the strange events and time loops and I was eager to find out what was happening and what would be at the cabin, but then I just don't think it lived up to the cool things that sort of, but not really, happened on their car trip. I can't say I hated the book, it was interesting and it kept me reading. I'm going to give this one a 3, because I think some readers will enjoy it and others will feel like I do now.